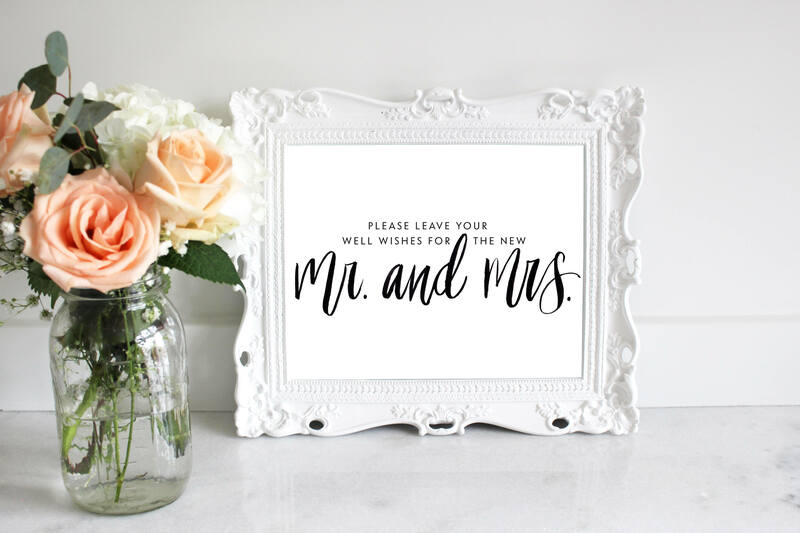 This 10inx8in print is the perfect way to remind your guests to leave their well wishes for the new Mr. & Mrs. This listing is for a DIGITAL FILE for you to download and print at your preferred local print shop. You will NOT receive a physical print. Nothing will be shipped to you. This is an Instant Download.